My Aunt Sally won $10,000 for this recipe, plus it is lowfat, simple, and delicious! This is my slightly healthier spin on it as I use olive oil instead of butter, brown rice instead of white, and lowfat sour cream rather than full fat. Heat skillet over medium high heat, then add 1-2 tablespoons olive or canola oil. Sear chicken breasts on medium high heat for a few seconds on each side, and reduce heat to medium or medium low depending on your stove. Cook about 15 minutes on each side until chicken is tender and white on the inside. Remove chicken and bring marinade to a boil for 60 secs. Serve chicken and sauce over brown rice mixed with steamed broccoli or your veggie of choice. Garnish with lowfat sour cream and a twist of lime. 1 cup salsa. For kids use the mild salsa. 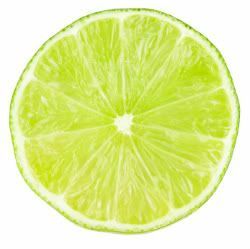 Half squeeze of lime. Save the other half for garnishing. Combine ingredients and cover over chicken breasts, stirring occasionally. Marinate at least 30 minutes. The cliffnotes version of this recipe is 2 parts salsa to 1 part Grey Poupon (or less) and add a squeeze of lime. If you want to moderate the recipe to your family’s needs. I LOVE this recipe because it is healthy, and contains ingredients that are simple to keep readily on hand.